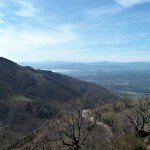 Merida is a must-see destination for anybody planning a trip to Extremadura. The region’s capital city is home to a beautiful archaeological ensemble which was declared a World Heritage Site by UNESCO and has lots to see and do. 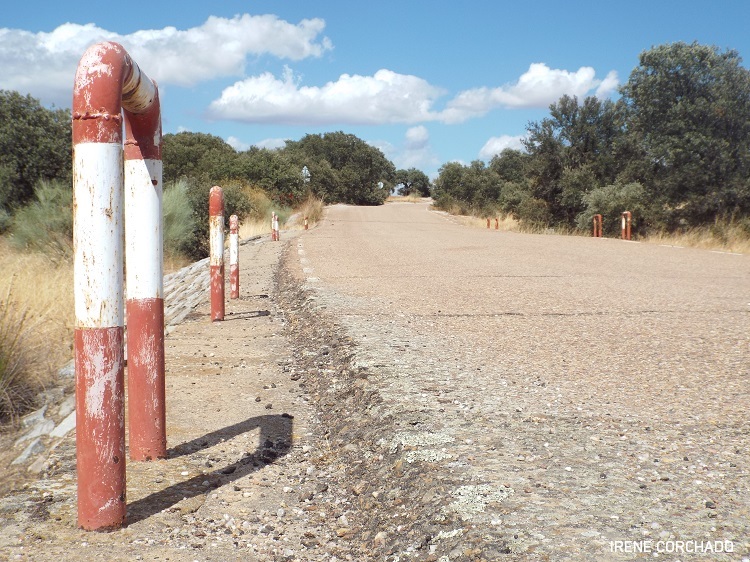 Reaching Mérida from abroad isn’t easy but that shouldn’t put you off travelling to Extremadura. 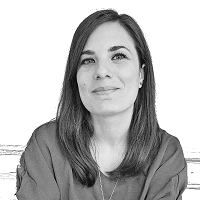 In this article, I’m sharing all the options available, useful links, personal thoughts and itinerary ideas to help you organise your trip. The three cities you can fly into from abroad are Seville (192km from Mérida), Lisbon (287km from Mérida) and Madrid (343km from Mérida). If you’re visiting only Mérida or plan to use it as a base to explore the surroundings on day trips, the easiest option is probably a round trip from and to your chosen city from the three mentioned above. 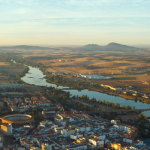 Below you can read how to get to Mérida from Seville, Lisbon and Madrid. If you fly into Seville, check the different car rental companies operating at Seville airport to choose the one that better suits your needs and budget. The car journey from Seville to Mérida takes approximately 1 h 50 min. 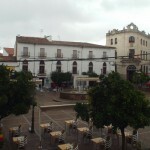 Buses to Mérida depart from Seville’s Plaza de Armas station, located in Avda. Cristo de la Expiración 2, 41001. The bus journey from Seville to Mérida takes between 2h 10min and 2h 50min, depending on the specific bus route. Prices for a return bus ticket vary from €18.76 with Leda (longest journey) to €29.71 with Alsa (fastest journey). Compare timetables and prices with GoEuro. 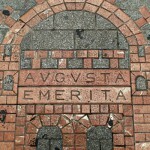 Trains to Mérida depart from Santa Justa station, located in Avenida Kansas City s/n. The train journey from Seville to Mérida takes 3h 35min. Expect to pay approximately €32-€33 for a return ticket. You can book your train tickets directly with Renfe or try other sites, such as trainline. There are six car rental companies operating at Lisbon airport. Check the link to see their contact information. The car journey from Lisbon to Mérida takes approximately 2h 40min. Buses to Mérida depart from Lisbon airport and the bus station (Estação do Oriente) with Avanza. 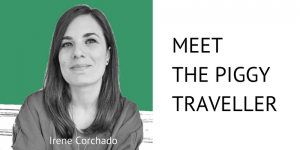 The bus journey from Lisbon to Mérida takes approximately 4 h. Expect to pay €58-€62 for a return ticket, although you may be lucky to find a promotion on their website for specific dates. There is no train service between Lisbon and Mérida. There are car rental desks at terminals 1 and 4 at Madrid-Barajas airport. Check the list of car rental companies and choose the one that better suits your needs. The car journey from Madrid airport to Mérida takes approximately 3h 25min. Buses to Merida leave from Estación Sur de Autobuses with Avanzabus. There are two types of service – standard and express. A standard return ticket costs approximately €57 and a one-way journey takes 5 h. An express return ticket costs approximately €83 and a one-way journey takes 4h. There are frequent promotions for certain dates and bank holidays. Trains to Merida depart from Madrid-Atocha station. The journey takes 4h 30min – 5h and you should expect to pay approximately €50 for a return ticket. 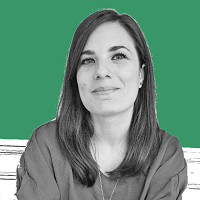 Check timetables and exact prices with Renfe. Extremadura’s only airport is located outside Badajoz city and approximately 48km from Mérida. Don’t get too excited, though. Its location may sound ideal but for anyone flying from abroad, it isn’t. 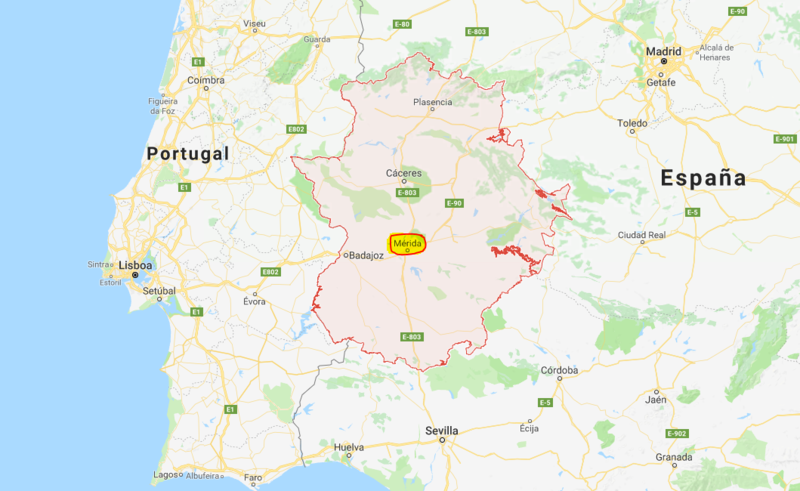 You can only fly into Badajoz from Madrid and Barcelona (Air Nostrum flies to Badajoz every day of the week except Saturday). 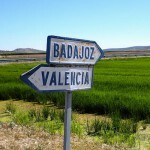 Unless you find flights to Barcelona for next to nothing, it’s not worth considering flying to Badajoz, either from Madrid or Barcelona. 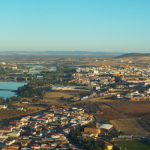 Flights aren’t cheap (you will rarely find return flights for less than €115-120), you waste time with the connecting flight and you need a car anyway to reach Mérida from Badajoz airport. If you still want to consider this option, visit Iberia to check flight prices. No matter which city you fly into, your best (cheapest and fastest) option to reach Mérida is always hiring a car. Train or bus? If you have the option to choose, choose the bus. Always. Trains are slower, less frequent and less reliable. The quickest way to reach Mérida is hiring a car and driving up from Seville (1h 50min). While Seville seems the obvious destination to fly to, it may not always be the best option. Bear in mind there may not be daily flights to Seville from your city, or they may be more expensive than flights to Lisbon or Madrid. Make sure you compare flight prices to the three different destinations. If Mérida is simply one of many stops on a road trip, a very good option is flying in from one airport and flying out from a different one. This will help you cover a wider area and save you time and money in bus and train journeys. Great post. I live in Seville and haven’t made it up there yet, seems like I’m the fool. If I ever decide to go, and can get my kids to sit on a bus without throwing a wobbly, then I’ll use this information. Thank you for your comment, Barry. The journey by car from Seville is under 2 hours, so it’s not too bad. I hope this information comes handy if you go!